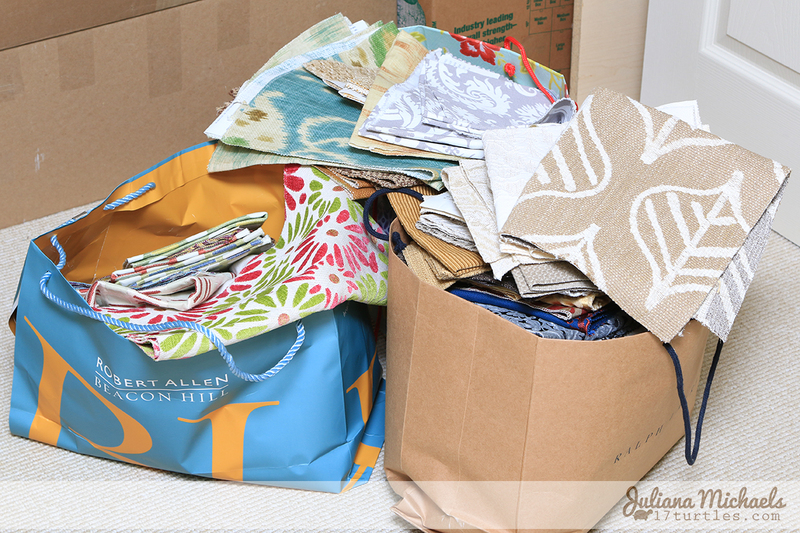 About a year ago a friend of mine who works in interior design gave me a ton of fabric samples. She offered them to me because she knew I liked doing crafts and she really didn't want to throw them away. I told her I would take them and I have been sitting on these treasures for months wondering what to do with them. Well, I finally decided to try using one of the scraps for something around the house. I thought some of the pieces might be big enough to recover a chair seat. I bought this chair several years ago and paid about $10 for it. As you can see, the seat cushion is in need of a re-do. It was super ugly and dirty. I went through the boxes and pulled some pieces that were large enough and decided on this beautiful golden floral pattern to match my spare bedroom decor. I unscrewed the seat cushion and removed a couple of the old layers. I was surprised to find that it had been recovered at least 4 times. 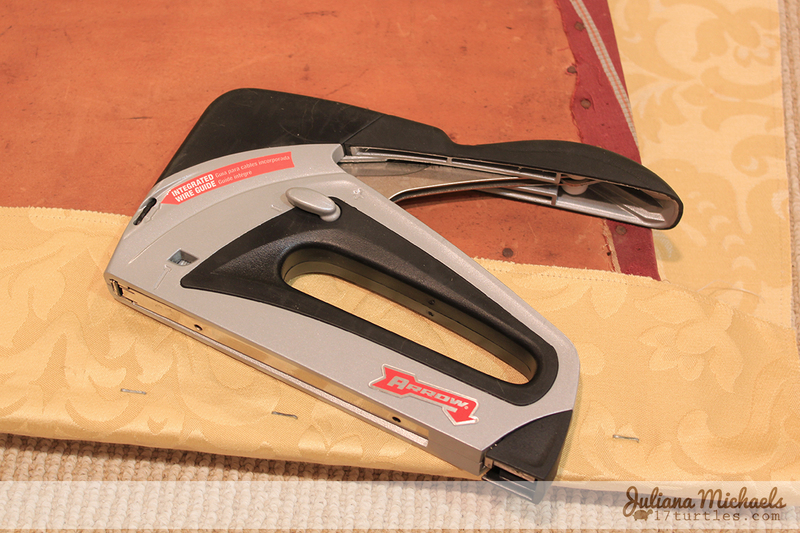 Next, I trimmed the fabric sample piece to be large enough to wrap around the sides and bottom of the cushion. Then the fun began...I got to use a staple gun for the first time ever! It was super easy to pull the fabric tight and staple it into place. 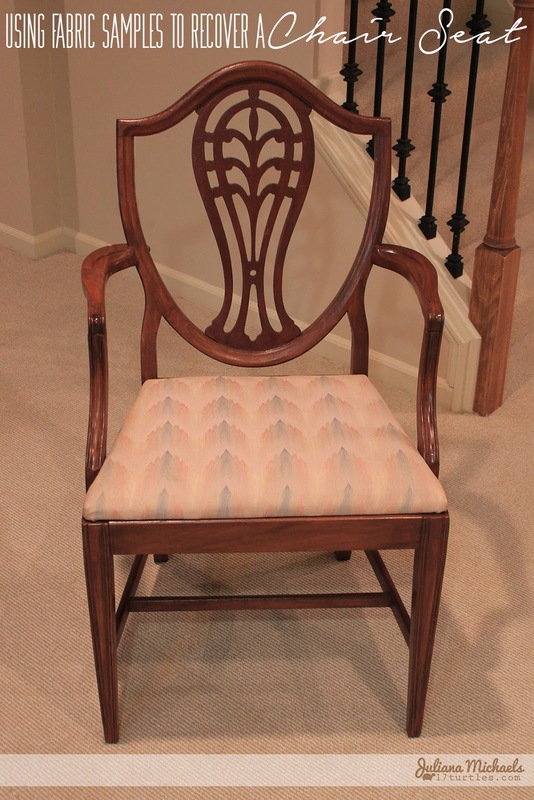 I now have plans to recover another chair that I have in my craft room. I'm still trying to decide on what fabric to use, but I will share it with you too once it's complete! What do you think about how it turned out? Have you ever tried doing anything like this? I can promise you that I will be doing more of it very soon! Wow! That chair turned out GREAT! 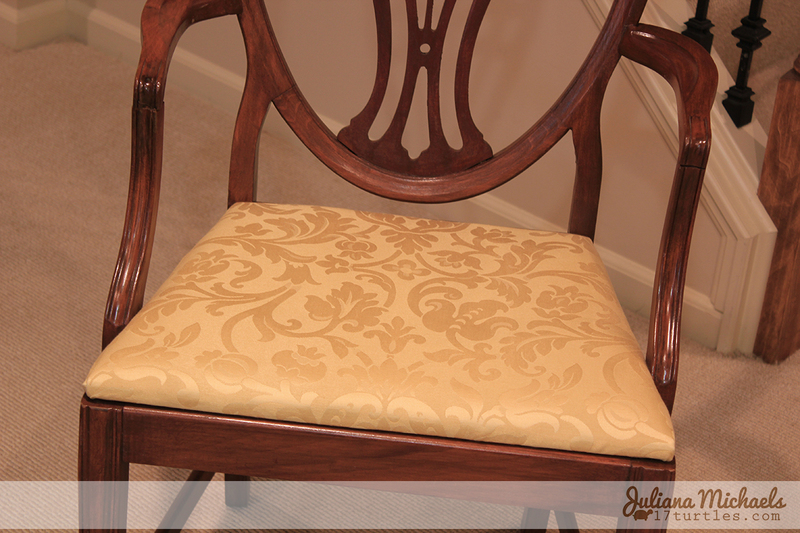 I have never upholstered anything and am in awe of all people who tackle projects bigger than 12x12! Ohhhhhhhh it turned out amazing!!!!!! How pretty! Great job. 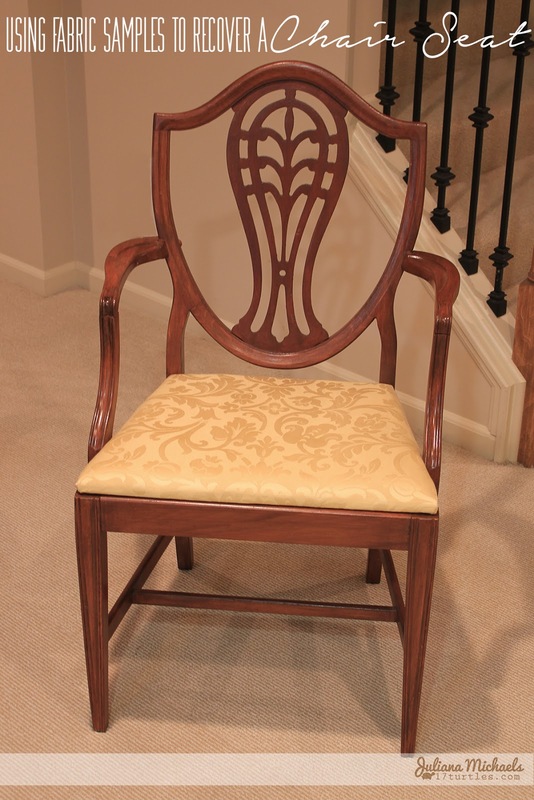 I'm going to do my dining room chairs, too.